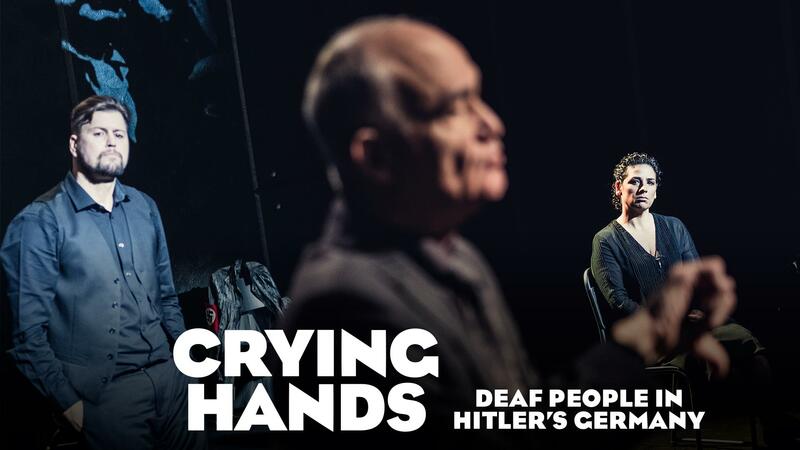 Based on interviews of deaf Holocaust and civilian survivors, CRYING HANDS, explores the fates of the deaf and disabled in Nazi Germany, a neglected story of the Holocaust. This original production by Teater Manu, an award-winning National Deaf Theater in Oslo, has toured extensively across Norway and abroad. With four of Norway's most dynamic actors, it is performed in both ASL and English.